Cisco launched their Connected Mobile solution today. What is it? In short, it is a method by which hotspot providers can advertise and deploy services to mobile devices before the device authenticates with the network and with little or no user action. Why should anyone care? Well, think about what you have to do to login to WiFi at a retailer, hotel, or airport. Typically, users must establish a time-limited user name/password and then must login to the network every time they visit the venue. In addition, the hotspot provider can’t easily alert a nearby user of relevant services and can’t easily push an application to the user. The new Cisco capability enables a hotspot provider to deploy services and applications to mobile users without requiring user pre-registration or pre-loading of applications. For example, the Cisco solution enables a retailer to automatically alert a nearby customer of a sale, push a coupon to their device, and download a loyalty application to the user device. This capability will make it easier for users to access hotspots and easier for hotspot providers to connect to their customers. Enterprises need the following components to make all of this work. MSAP Client: The solution requires use of a Mobility Services Advertisement Protocol (MSAP) client in the mobile device (see below for an explanation of MSAP). The MSAP client will be bundled with future phones that use the Qualcomm SnapDragon client (see Cisco for a list of devices). The MSAP client software can also be integrated into a mobile application. MSAP Server: The solution requires an MSAP server. The server runs on the Cisco Mobility Services Engine and is embedded in MSE software version 7.4. Service configuration: The customer must configure the services they want to provide to users at their venues using the Cisco Prime Network Control System, which manages the MSE. This does not require any programming. The services themselves are links to URLs or other applications that the customer must develop. For instance, if a retailer wants to push a loyalty application to the mobile device then they must develop the loyalty application and add it to an App Store. The mobile’s native procedures are used to download the loyalty application from the App Store. In a future release, MSE will also provide some pre-built services that customer can deploy out-of-the box (e.g., Where am I?). MSAP protocol is proprietary: The MSAP protocol is built upon IEEE standards but itself is not a standard. It would be great if the MSAP protocol (or some variant) was standardized by the IEEE, certified by the Wi-Fi Alliance, and embedded in every mobile handset (am I dreaming?). That would unleash the full potential of this solution. Access Point: This solution operates with all Cisco Unified Wireless Network (CUWN) APs. 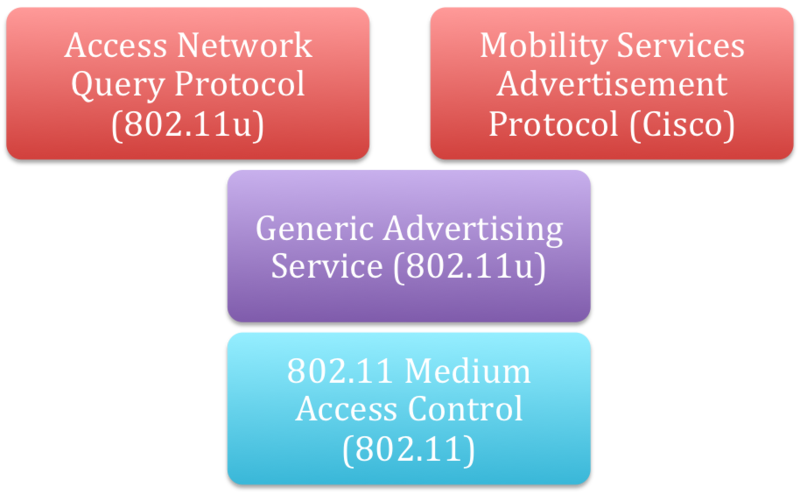 The Cisco solution builds upon the new Generic Advertising Service defined by the IEEE in the 802.11u amendment (see figure). Generic Advertising Service – The Generic Advertisement Service (GAS) is an IEEE 802.11u protocol that provides link layer transportation of frames for higher-layer advertisement services. GAS operates BEFORE the Wi-Fi device and the access point (AP) form an association, BEFORE the network authenticates the device and BEFORE the device receives an IP address. 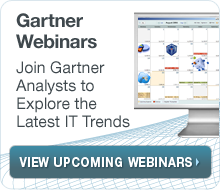 GAS defines a generic container to advertise net­work service information over an 802.11 network. GAS is similar to the Extensible Authentication Protocol (EAP) in that both operate over the link layer, do not require an IP address, and provide a generic container transport service (EAP for authentication, GAS for network advertisement). GAS is an important foundational element that enables higher layer services such as simplified network discovery, seamless network access, inter-provider hot spot roaming. One of the protocols that GAS transports is the Access Network Query Protocol (ANQP). This protocol provides support for determining roaming partners and authentication methods. It also provides general information on parameters of the Wi-Fi access network. 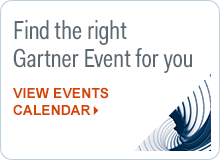 The Wi-Fi Alliance Passpoint Program certifies interoperability of GAS and ANQP. Mobility Services Advertisement Protocol – The Mobility Services Advertisement Protocol (MSAP) is a Cisco Systems proprietary protocol that provides service advertisements to mobile devices. GAS transports the MSAP frames (see figure). Therefore, MSAP also operates BEFORE the Wi-Fi device and the access point (AP) form an association, BEFORE the network authenticates the device and BEFORE the device receives an IP address. MSAP runs in the mobile device (MSAP client) and on the Cisco Mobility Services Engine (MSAP server). When the MSAP client sees an 802.11 Beacon frame that indicates that MSAP advertising is available, then it asks the MSAP server what services are available. The behavior of the MSAP server depends upon what capabilities the Cisco customer develops. For instance, the MSAP server can load an advertisement to a loyalty application onto the mobile device and then the mobile can download that application from its App Store. A future version of MSAP will incorporate digital signatures and Public Key Infrastructure (PKI) for security.